At our offices in Stratford and Bridgeport, CT, our optometrist provides patients with the option of a contact lens exam if the person has had glasses in the past and would like to switch from eyeglasses. Although glasses are more practical for children, contact lenses have their share of benefits for most people. 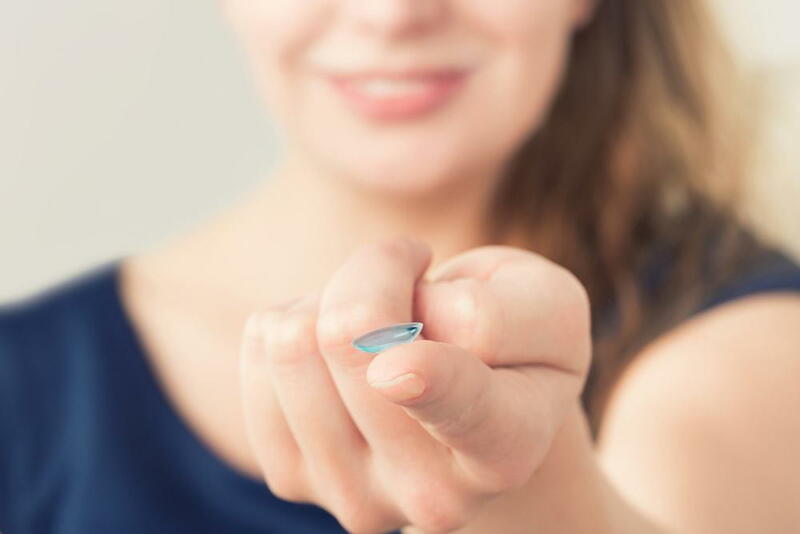 People who opt for contact lenses receive the benefit of a vision correction that you can't see. Contacts are more aesthetically pleasing for many individuals, especially for women who can wear makeup without having to hide their eyes behind glasses. If you should happen to lose a contact, you just put in another one. Generally, we advise patients to purchase at least one box of contacts and to never let them run out completely in the event you lose a contact. On the other hand, if you were to wear glasses or lose or break them, people don't always have a spare and most likely you will have to pay the price to replace them. If you're a busy person or enjoy playing sports, contacts won't get in the way. If you wear glasses and play sports, a ball to the face could cause break your glasses. However, if you're wearing contacts and a ball should hit you in the face, you won't experience any problems. If you want a change, you could change your eye color with contacts. We offer a variety of options. Depending on the pair of glasses, contacts could be a cheaper option, especially if we discover during your contact lens exam, you wear a common prescription. A clear pair of contacts matches everything. A pair of glasses doesn't always work with every outfit, especially if you opt for a colorful or patterned pair. Your contacts will match you no matter your personal style. To schedule a contact lens exam from our optometrist in Stratford and Bridgeport, contact us at Family Vision Center at 203-333-2020 for Bridgeport and 203-377-2020 for Stratford.